I hope the AMD NVIDIA crypto bears took heed the last time we published about TSMC's crypto strength. Bears thought crypto's over. The stocks are much higher since. TSMC, today again came out hinting to crypto strength. That's right, strength. While the bears think mining is over, it's not. AMD had amazing results and TSMC just came out again to say that crypto demand is alive and strong. Don't let the crypto prices and crypto bear stories throw you off. Just to be clear, "strength." 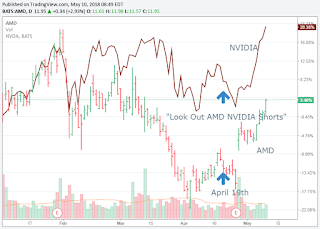 While AMD and NVIDIA stocks were down we called out on April 19th TSMC's bullish crypto news. Based on TSMC's last crypto strength news we told investors, "Look out AMD and NVIDIA shorts." Here's the stocks since then. The stocks have launched since our last call out of the TSMC crypto hint. With NVIDIA reporting tonight and bears betting against a strong quarter, this could be round 2. Ding. 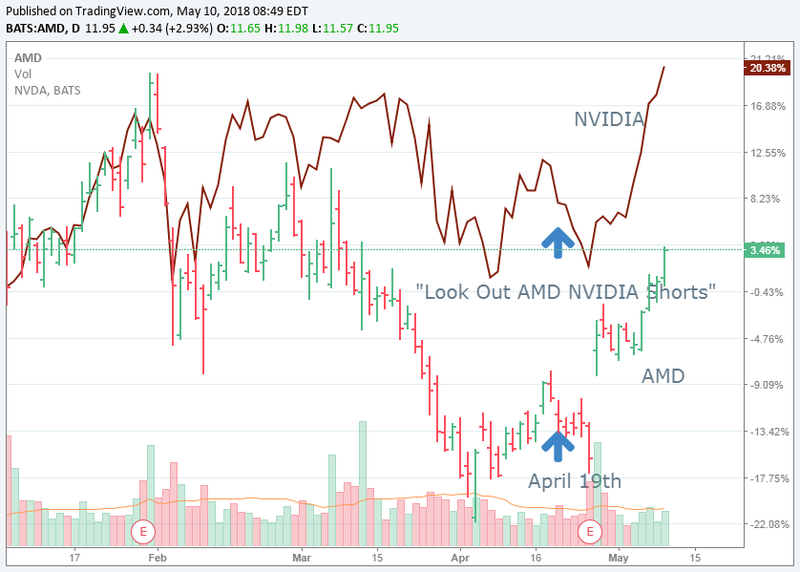 We're still bullish on NVIDIA and AMD despite all the shorts and their crypto stories.